With a pair of rear naked chokes that finished two celebrated champions, Nate Diaz and Miesha Tate both accomplished the improbable in a pair of sport-shaking victories at UFC 196. LAS VEGAS (AP) — With a pair of rear naked chokes that finished two celebrated champions, Nate Diaz and Miesha Tate both accomplished the improbable in a pair of sport-shaking victories at UFC 196. 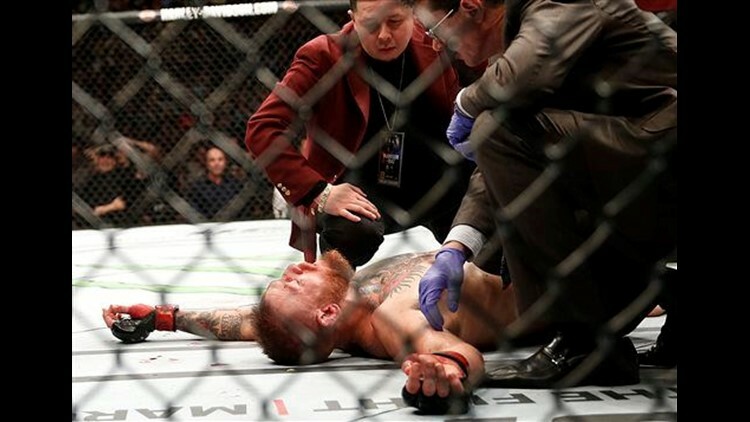 The loss was McGregor's first since November 2010, and it put a blemish on the loquacious Irish face of theUFC and the best-paid fighter in this rapidly growing sport.